This gorgeous vanity light features a clean design with metalwork finished in oil rubbed bronze and amber glass. Globe Electric's Carleton 3-Piece Bathroom Set is a wonderful way to update your bathroom with one easy step. Complete with a towel bar, toilet paper holder and three light vanity light in oil rubbed bronze your bathroom will look streamline and welcoming. Add a compatible dimmer switch to create a warm ambiance for a relaxing bath. While the pieces compliment each other you can split this set up and use it throughout your home. The towel bar makes an excellent shoe holder. The vanity would be great in your kitchen. Think outside the box! Includes all mounting hardware for quick and easy installation. Requires three E26 60W bulbs (sold separately). 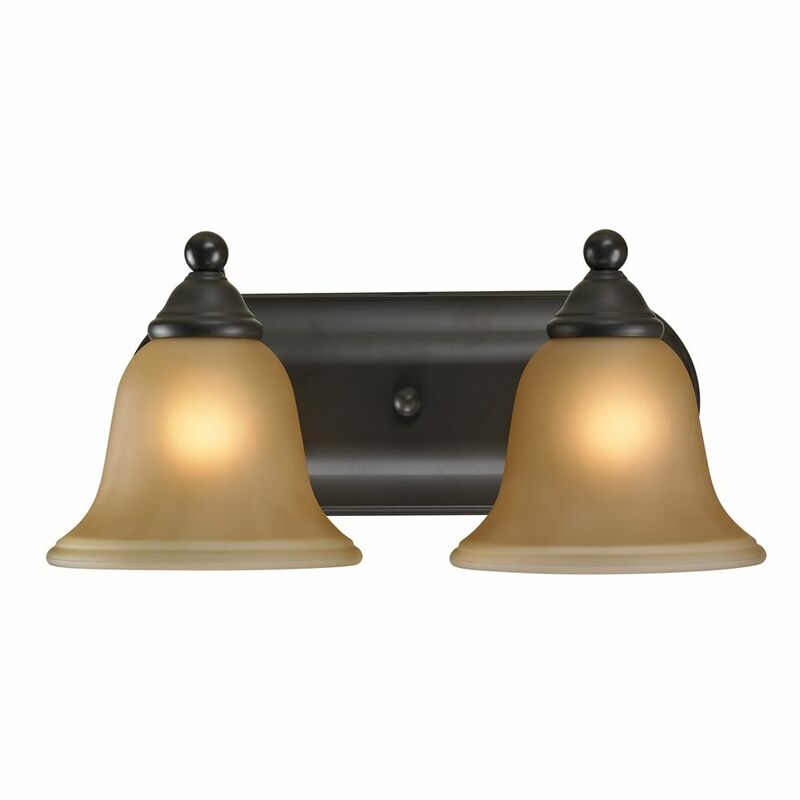 Shelburne 2-Light Oiled Rubbed Bronze Bath Light This gorgeous vanity light features a clean design with metalwork finished in oil rubbed bronze and amber glass.